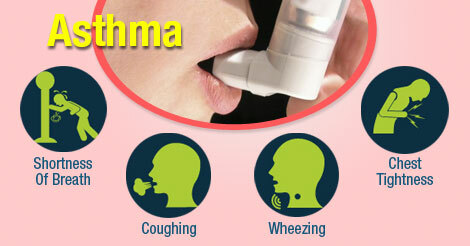 The word “Asthma” brings to mind different thoughts to different people. If you suffer from asthma, this word may mean not being able to breathe freely and easily. Or, if you belong to a family which has somebody who suffers from it, it may mean a loved one becomes uncomfortably ill, or lives a disrupted life where he or she misses school or work. Anyone can feel the loss in the quality of life brought about by asthma. Some people think of asthma as really just a “Breathing problem” – it may, at times, cause people to see a doctor, or go to the emergency room, but the symptoms usually aren’t too bad. However, to physicians who treat asthma, it is a serious medical condition – one in which their patients have trouble in breathing and that must be relieved through their patients’ avoidance of the causes of their asthma or by their patients taking specific medication. But, is it an “Allergic” condition? Not always, but in most patients, many of the triggers for their asthma are allergic in nature. The most common include dust mites, cockroaches, molds and pollens such as ragweed, grass and trees. Numerous scientific studies have shown that avoidance of specific allergens in patients with asthma who have been previously sensitized will result in improved asthma symptoms and decreased medication requirements.